Since I’ve been making a lot of middle eastern meals, I was bummed that I could serve couscous with them due to my husband’s gluten sensitivity. Luckily, I’m savvy enough to search the internet….certainly there was a product on the market…I was sure I wasn’t the only one wanting such a product. 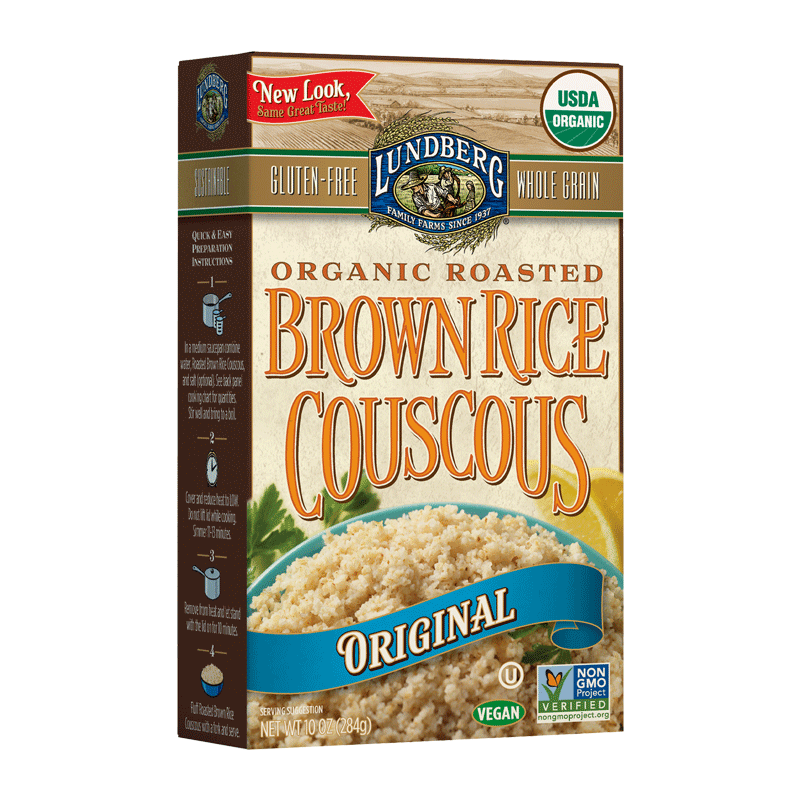 And there was…Lundberg, my favorite rice company, has developed a gluten-free couscous made from brown rice. I was skeptical, but decided to give it a try tonight since I was making a chicken tagine. It takes a few minutes longer to cook than the traditional couscous, but, truthfully, I prefer it over the original! One gripe I have with traditional couscous is that it’s so bland….not this one! It has so much more texture to it and even some flavor. I will definitely be purchasing this product again. Not sure where to buy it? Go here and scroll down to type in your zip code. It will then give you a list of stores where you can find the product.